The Cook. Dir. 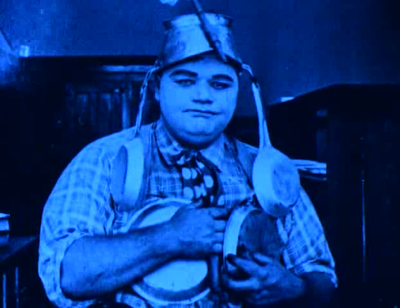 Roscoe “Fatty” Arbuckle. Perf. Buster Keaton and Roscoe “Fatty” Arbuckle. 1918. DVD. The Cook and Other Treasures. Image Entertainment, 2003. This film derivitive of Anthony and Cleopatra won't be found in any of the scholarly textbooks, though I can't imagine why it isn't. It's clearly a re-enactment of the death scene of Shakespeare's (and not just history's) Cleopatra!